Buckle in for the electrifying and risqué beats of Bounce! This talk will explore a genre of queer hip hop music — a unique sound from the black gay community of New Orleans. The historical and cultural gumbo of New Orleans is no stranger to creativity and innovation in the face of adversity — after all, this is also the home of jazz and Mardi Gras. Bounce provides a fascinating platform to explore ideas and contexts around race, sexuality and gender. Recharged after Hurricane Katrina, the underground energy of Bounce has found its way into mainstream pop culture. Copied and sampled by pop artists such as Drake, Beyoncé and Miley Cyrus, it has carved a space for marginalised voices and beats to be heard and gave ‘twerking’ to the world! 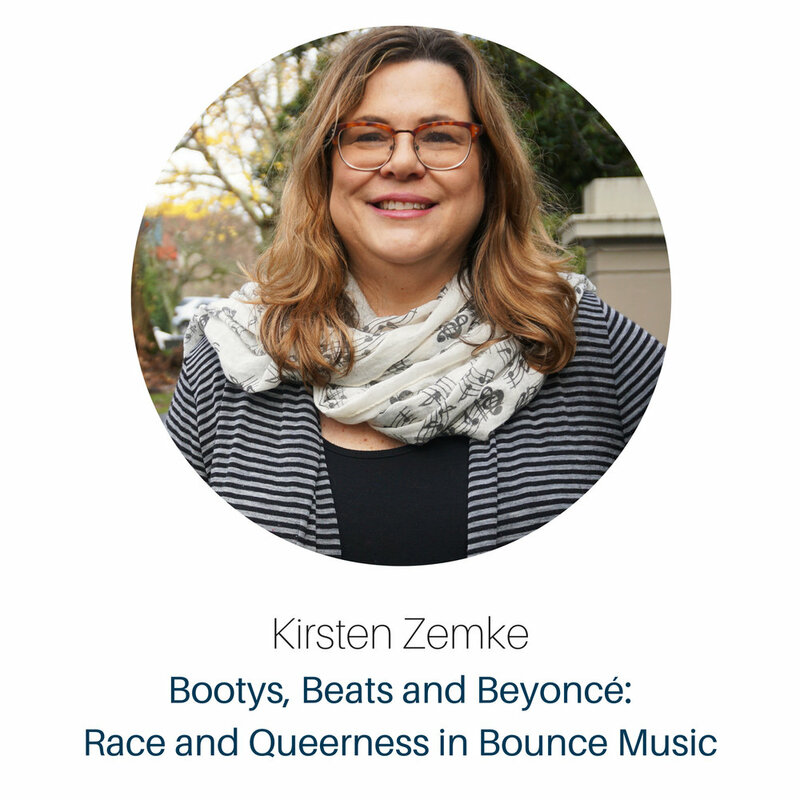 Kirsten Zemke is a Senior Lecturer in Ethnomusicology at the University of Auckland. Her teaching and research focuses on Popular Music and specialises in hip hop. Within this is a strong interest in race, identity, ethnicity, gender and sexuality. She believes that popular music can reveal a lot about society and the ways we see and understand each other.